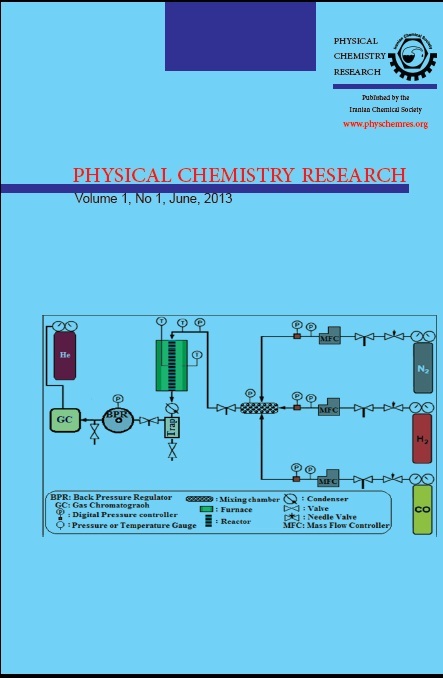 The structural and energetic characteristics of O3–H2O complexes have been investigated by means of B3LYP, MP2, MP4(SDTQ), CCSD(T) and QCISD(T) methods in conjunction with the AUG-cc-pVDZ and AUG-cc-pVTZ basis sets. Six conformers were found for the O3–H2O complex. Two different intermolecular interactions were expected to participate in the formation of complexes, namely conventional O∙∙∙H hydrogen bonding and O∙∙∙O interaction. The most stable structure is non-hydrogen bonded one with double O∙∙∙O interactions. 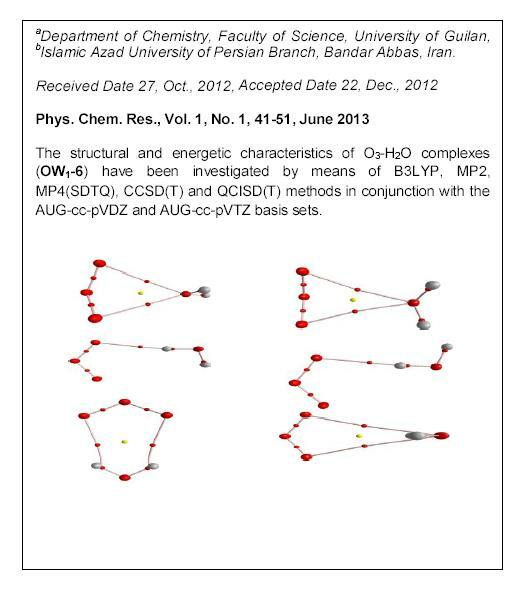 The binding energies of the most stable complex corrected with BSSE and ZPE range from -5.99 to -12.20 kJ/mol at CCSD(T)/AUG-cc-pVTZ, QCISD(T)/AUG-cc-pVTZ and MP4(SDTQ)/AUG-cc-pVTZ high levels of theory. The equilibrium distance between centers of monomers (O3∙∙∙OH2) in the most stable complex at the CCSD(T)/AUG-cc-pVDZ and CCSD(T)/AUG-cc-pVTZ levels is 2.9451 and 2.9448 Å, respectively, in good agreement with the experimental value of 2.957 Å. The AIM calculations predict that the O∙∙∙O and O∙∙∙H interactions in O3–H2O complexes are electrostatic in nature.